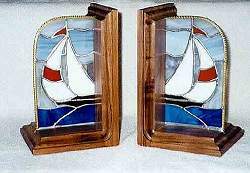 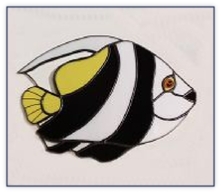 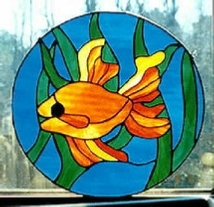 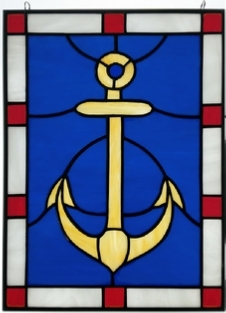 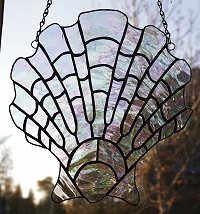 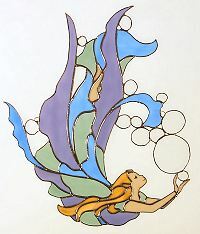 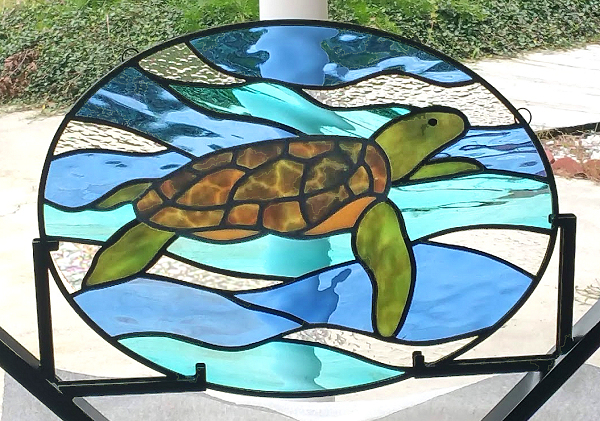 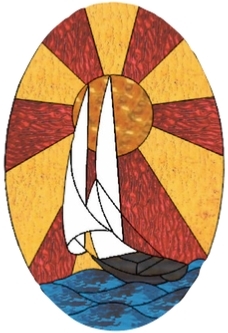 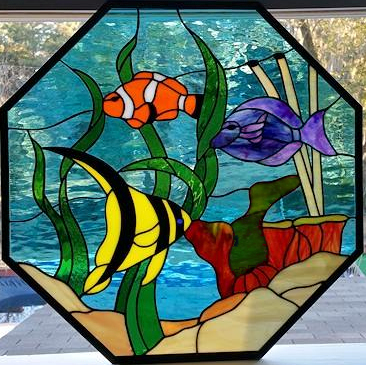 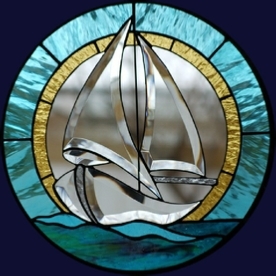 Our nautical stained glass page features many type of marine creatures including fish, mermaids, sea shell, sailboats …..a virtual sea of glass. 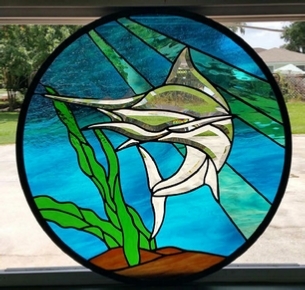 We will be happy to customize any of the art glass windows, suncatchers or stepping stones in your choice of stained glass colors. 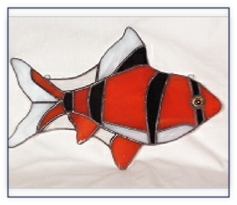 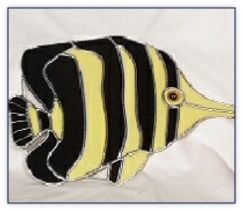 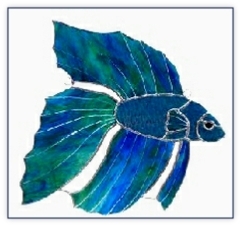 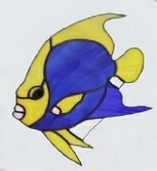 Some of the fish suncatchers are much larger (12-13 inches) than your typical suncatcher. 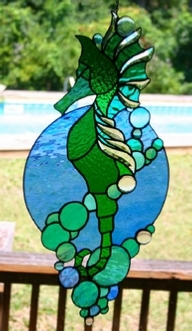 All my products are made by me right here in the USA. 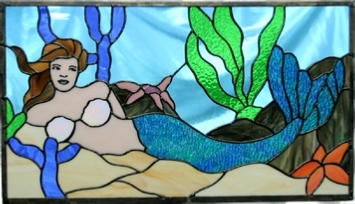 Let’s all pitch in. 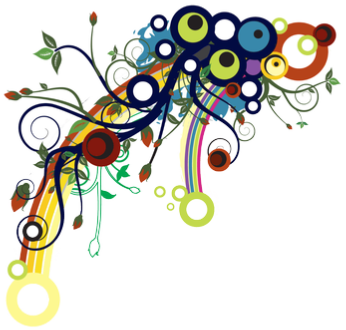 Support small businesses in America! 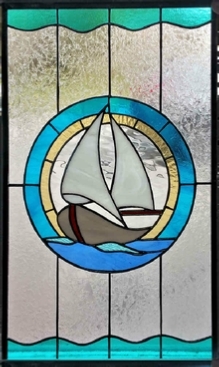 Click below to request a quote on any design. 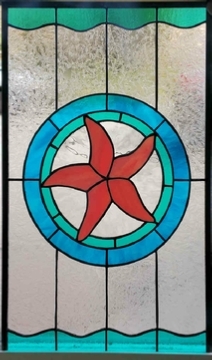 Be sure to include your dimensions (W x H) as well as the design name/number and your color choice.